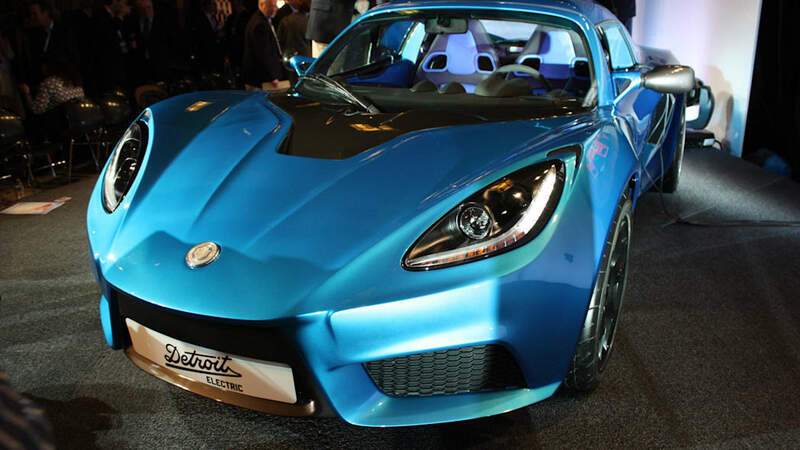 We won't fault you if the name Detroit Electric has fallen off your radar. After all, the company is best known for producing around 13,000 electric vehicles in the early 1900s, not to mention a revival from the Zap brand that, well, faded away. But the company is back in action, and today showed off its first product that is set to go on sale later this year, the sweet little SP:01 that you see above. 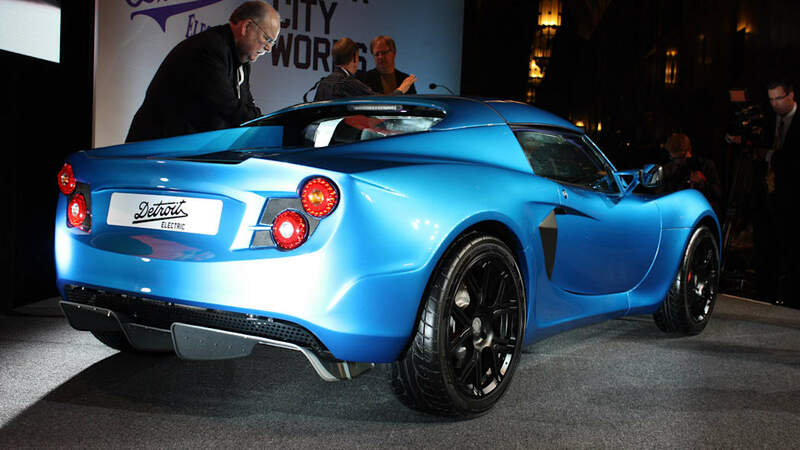 By the end of 2014, Detroit Electric will produce a range of all-electric cars. 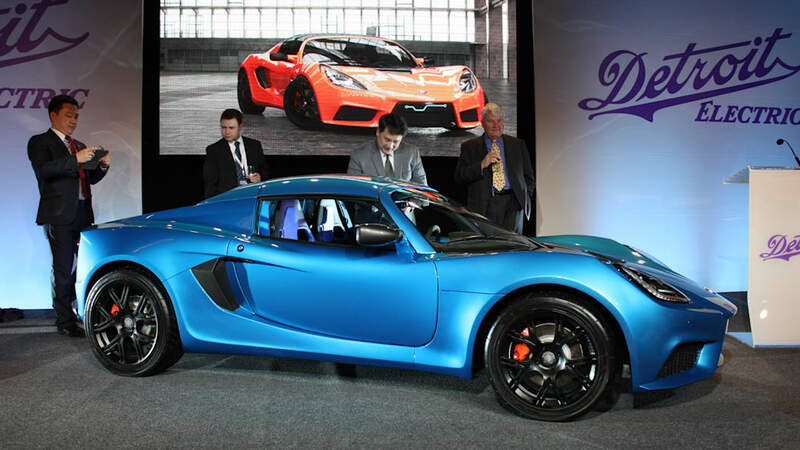 It's no secret that the company is relying on body patterned on the Lotus Exige's shell for its new electric car, and that's largely thanks to the fact that the brand was revived by former Group CEO of the Lotus Engineering Group and executive director of Lotus Cars of England, Albert Lam. 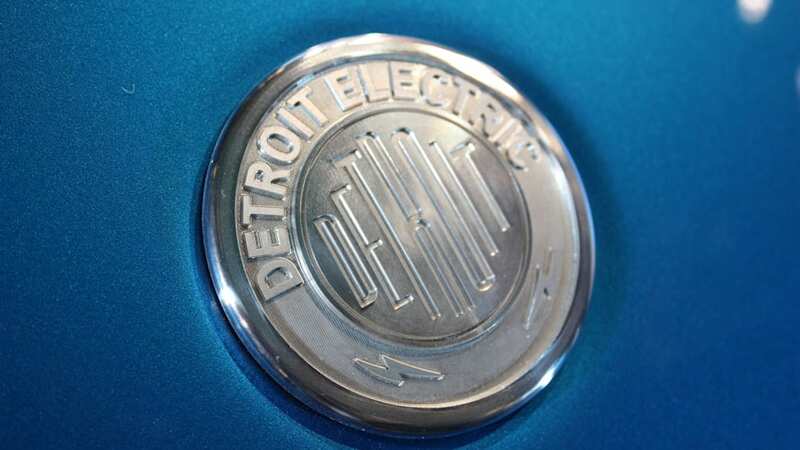 As its name suggests, Detroit Electric has set up shop in the city's historic Fisher Building, and will produce cars at a facility somewhere in the metropolitan Detroit area. The company states that this dedicated production shop will have an annual capacity of building 2,500 cars and will create over 180 jobs in the process. By the end of 2014, Detroit Electric will produce a range of all-electric cars, with two more machines scheduled to launch sometime next year. 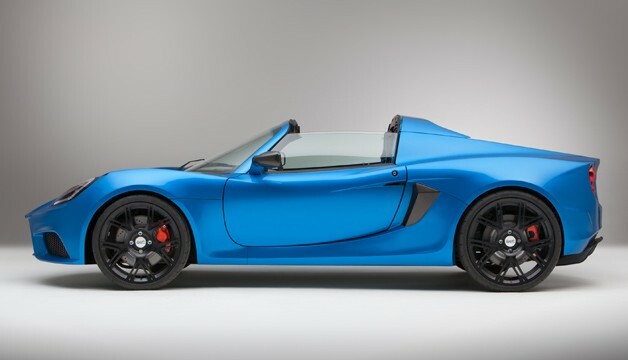 The SP:01 – the first product to wear the Detroit Electric name since 1939 – starts production this August, and pay attention, because it looks to have all the chops of a serious high-performance EV. Scroll down to read on. The SP:01 uses bespoke bodywork constructed for Detroit Electric, made entirely out of carbon fiber, and is supplied to the company as a rolling chassis. The 90.6-inch wheelbase, fully independent front and rear suspensions, and front anti-roll bar are all retained, though the Lotus' Eibach coil springs and Bilstein damper rates have been modified to match the SP:01's unique weight distribution. 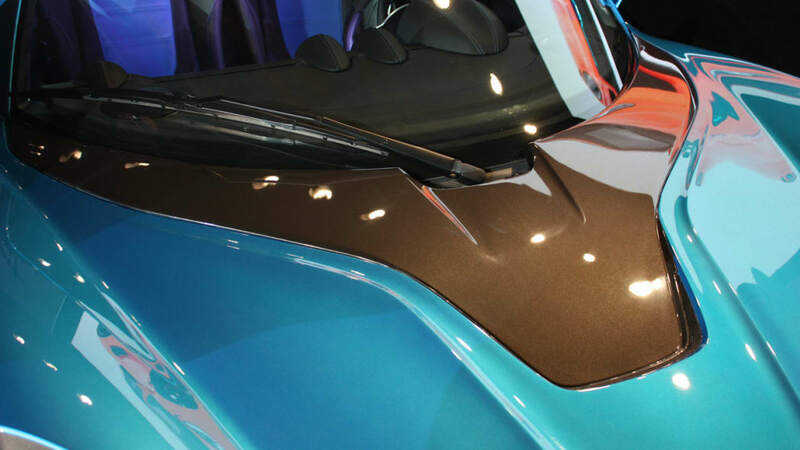 The car still uses a mid-rear configuration – motor and battery pack in the middle, power sent to the rear wheels – and comes with a removable body-colored hardtop. 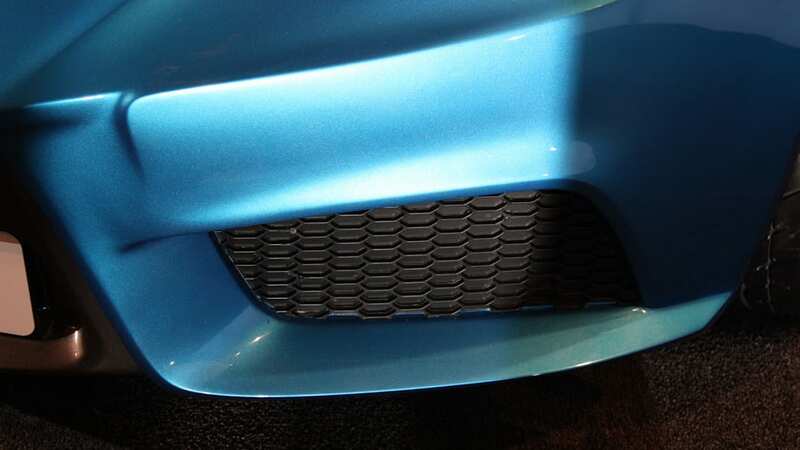 That electric powerplant is visible through a transparent hatch integrated into the rear bodywork, and buyers will be able to choose from three different alloy wheel designs, as well as seven exterior colors including the Electric Blue you see here. 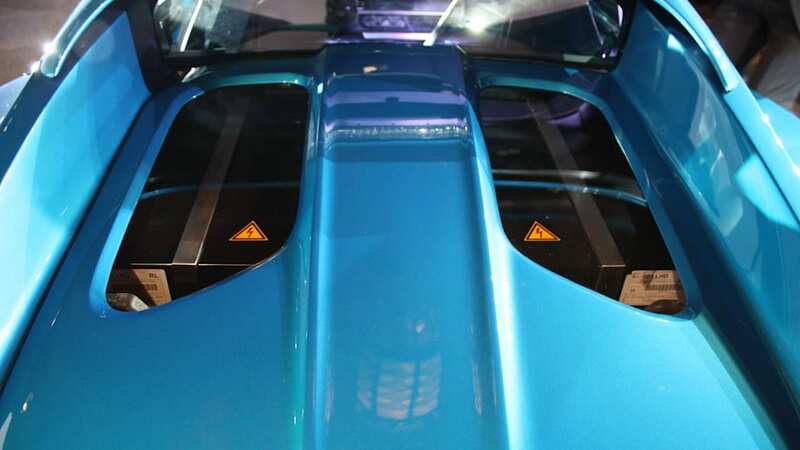 It will be able to reach 62 miles per hour in just 3.7 seconds and will carry on to a top speed of 155 mph. Inside, the SP:01 has an integrated smartphone in the center console that controls all of the car's auxiliary functions, and the entire cockpit is finished in swaths of leather and carbon fiber trim. That smartphone system, named SAMI (Smartphone Application Managed Infotainment) includes amenities like navigation and a music player, while allowing the driver to adjust the regenerative braking and interior lighting, as well as viewing key status points for the vehicle's operation (level of charge, range, etc.). And yes, it makes phone calls. Two 37-kWh lithium-polymer batteries power an air-cooled, asynchronous AC electric motor that Detroit Electric says is made in the US, and total power output is equal to 201 horsepower and 166 pound-feet of torque. The company says that the SP:01 will have a driving range of 180 miles on the New European Driving Cycle, and while official calculations haven't been released, this will likely equate to around 150 miles on a US cycle. The SP:01's motor drives the rear wheels via a four-speed manual transmission – that's right, it's an EV with a stick. But unlike other EVs that use a single-speed transmission, the SP:01's motor drives the rear wheels via a four-speed manual transmission – that's right, it's an EV with a stick. But here's where things get tricky: Detroit Electric says that an optional fifth gear in the manual transmission is available, as is a two-speed automatic gearbox. 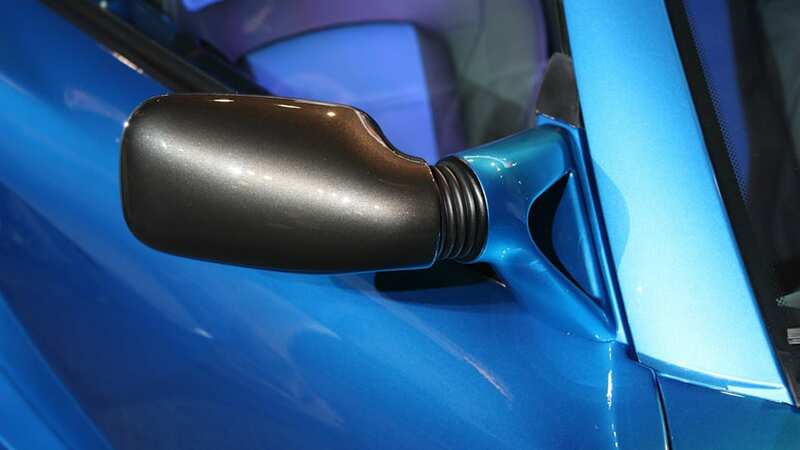 According to the manufacturer's press release, there is no need to use the clutch pedal when starting from a standstill, and you don't need to push the clutch in when coming to a stop, either – the motor just, well, stops. The company also says that first gear is good for speeds of up to around 30 mph, second gear will bring you up to about 60 mph, and only above that would you need to use third or fourth (or fifth). All in, the SP:01 tips the scales at a scant 2,403 pounds. 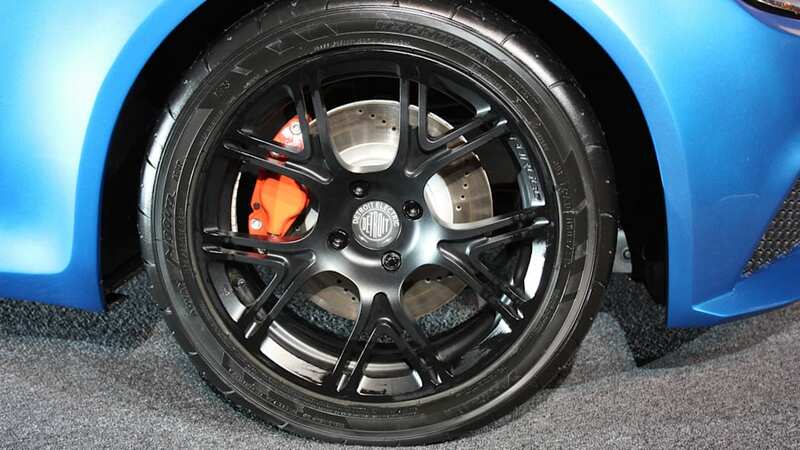 Power steering is not fitted (the company says it isn't needed), but the car does come with standard AP front and Brembo rear brakes (as well as ABS), and the whole package rolls on 175/55R16 tires up front and 225/45R17 rubbers out back. Regenerative braking is, of course, on hand, but Detroit Electric says that in standard mode, the sensation of lifting off the accelerator should be equivalent to that of a normal gasoline-powered car. This can be turned up, however. 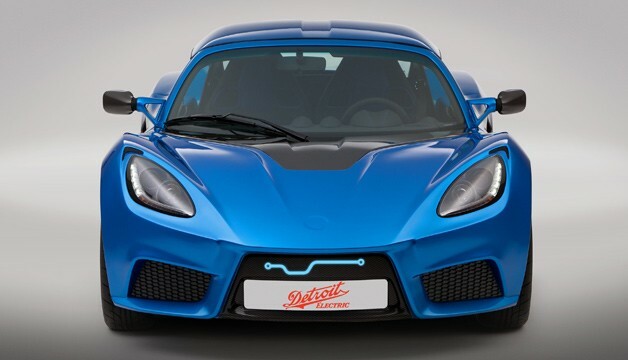 As for charging times, Detroit Electric says that used in conjunction with "any charge point delivering 240 volts and 32 amps," the SP:01 will achieve a full state of charge in 4.3 hours. Reduce that to a 13-amp source and that time climbs to a full eight hours. 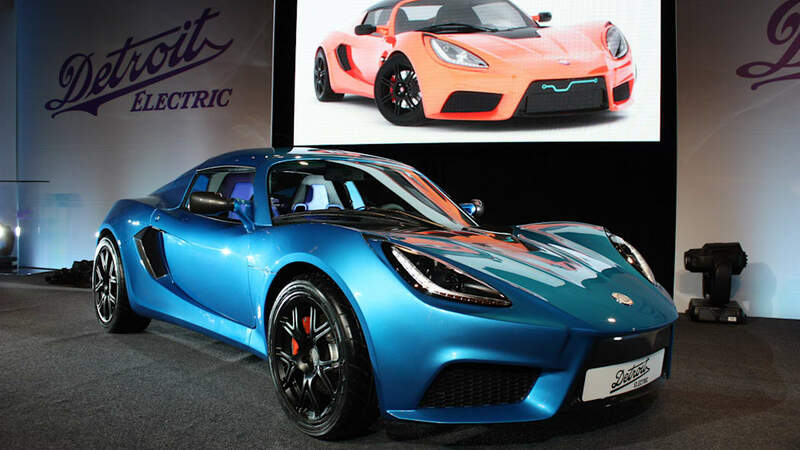 Detroit Electric also says that the SP:01 has a bi-directional charge and discharge system, turning the car into a sort of mobile energy unit, allowing the driver to use the vehicle to power an entire home. This is all done through something called a 360 Powerback, which when connected to the home charging unit, can provide the owner the option to have the car restore power to the home if there's a failure in the grid, all of which is controlled via SAMI. Weird stuff, but hey, neat if your power goes out. Pricing for the SP:01 starts at a hefty $135,000. It sort of goes without saying that we'll be watching this one very closely, and we're already working out a chance to drive one of these things. Pricing for the SP:01 starts at a hefty $135,000, and specific costs for the optional extras (fifth gear activation, automatic transmission, carbon fiber hardtop, different colored interior leather) have not been released at this time. Have a look below for the full details in the Detroit Electric press release. 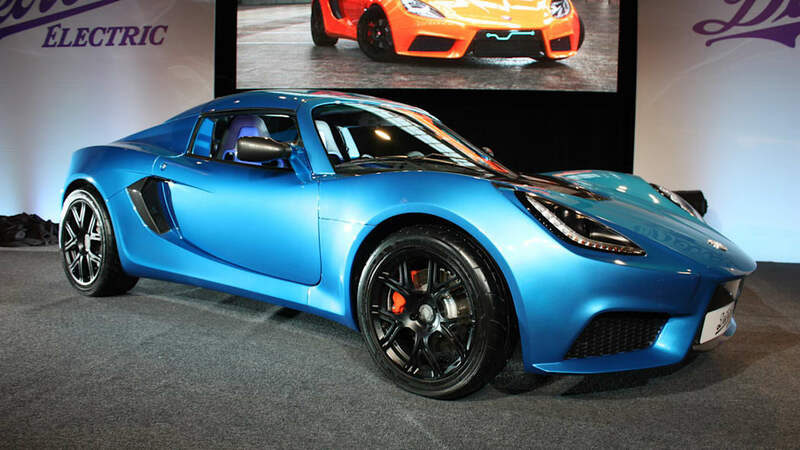 Emissions-free motoring has a new high-performance champion following the unveiling today of the Detroit Electric SP:01, a limited-edition, two-seat pure-electric sports car that sets new standards for performance and handling in the electric vehicle (EV) segment. Boasting an impressive 155 mph (249 km/h) top speed and covering the 0-62mph (0-100km/h) sprint in a blistering 3.7 seconds, the SP:01 is the world‟s fastest pure-electric production car. 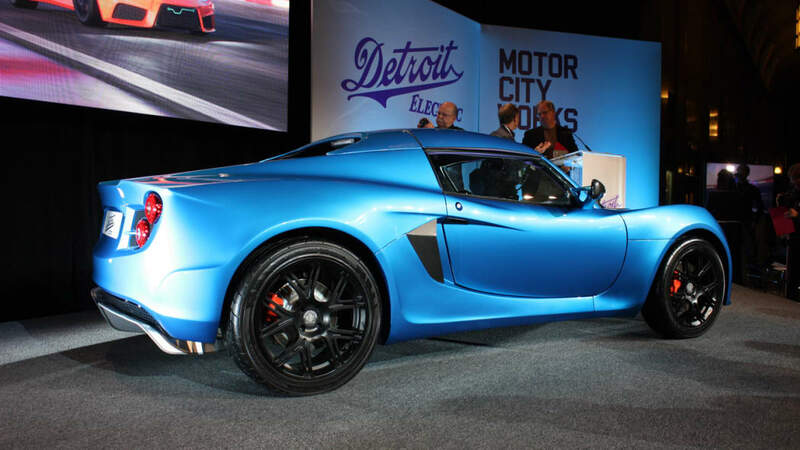 The new SP:01 was launched under the brand‟s mantra of „Pure Electric Excitement‟ and was revealed at Detroit Electric‟s new headquarters in the Fisher Building in downtown Detroit. 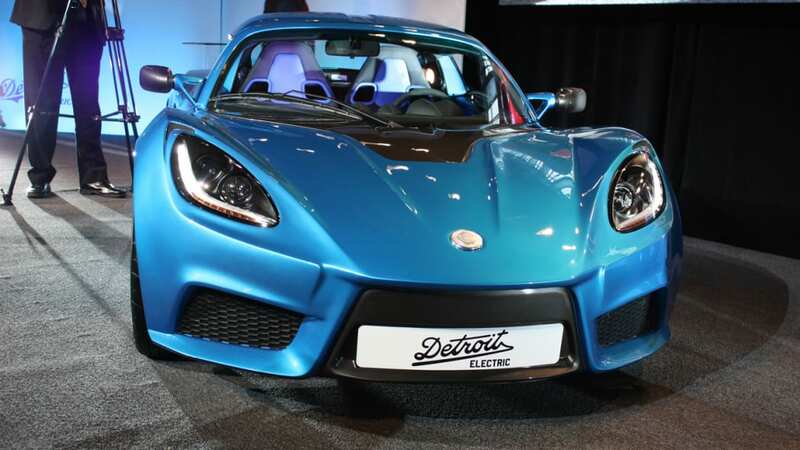 Just 999 examples will be built at Detroit Electric‟s new production facility in Wayne County, Michigan, with cars sold worldwide through a network of specialist retail partners. The SP:01‟s exceptional performance is owed in large part to its excellent power-to- weight ratio. The rear-wheel-drive SP:01 features a compact, mid-mounted 201 bhp electric motor (delivering 166 lb ft of torque), a lightweight, purpose-designed battery pack and all-new carbon-fibre bodywork. 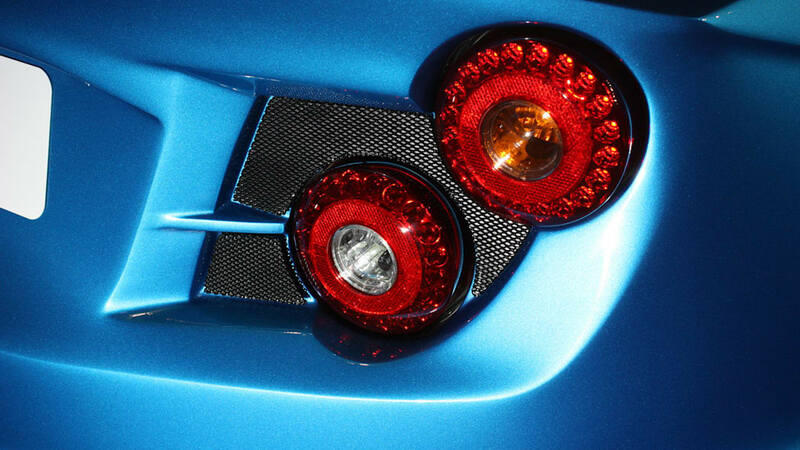 Total weight is just 2,354 lb, contributing to the SP:01‟s superior driving dynamics and class-leading handling. To deliver instantaneous torque for breath-taking acceleration, the SP:01‟s innovative powertrain creates an electromagnetic field around the rotor shaft, which then spins at varying speeds to drive the wheels. Drivers can select one of four gear ratios for optimal acceleration, but unlike a manual shift in a conventional car, there is little need to change gear regularly to ensure brisk progress. 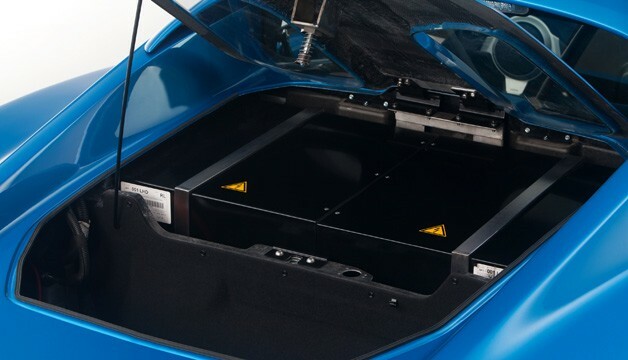 With an impressive energy storage capacity of 37 kWh, the battery gives the SP:01 a range of almost 190 miles between recharges, when tested to the New European Driving Cycle (NEDC) standard. Detroit Electric‟s home charging unit will enable drivers to charge their SP:01, with full charge achieved in 4.3 hours. Rigorously tested by Detroit Electric for use in the SP:01, the battery technology also has been deployed successfully in other highly demanding applications, notably in helicopters and submarines. "The SP:01 will be exclusive, luxurious and technologically advanced," said Albert Lam, Detroit Electric‟s Chairman and Group CEO. 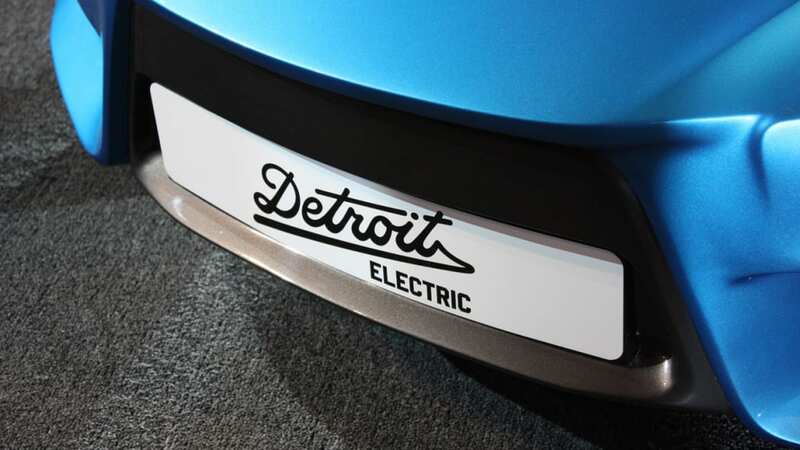 "It is a milestone in the history of the Detroit Electric brand, but also a significant development for the international EV sector. The car will allow us to demonstrate to the world our ability to build an exciting and innovative product, one that displays outstanding performance coupled with strong green credentials, and which delivers an exhilarating driving experience." The SP:01‟s bespoke bodywork is constructed entirely of carbon fibre. 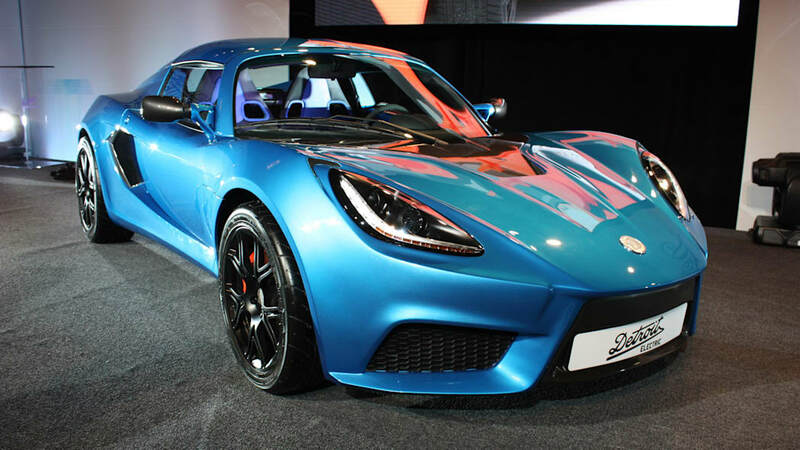 Styled by Detroit Electric‟s Head of Design, Jerry Chung, the SP:01‟s angular lines and muscular stance give the car a bold, imposing design while also optimising aerodynamic efficiency. 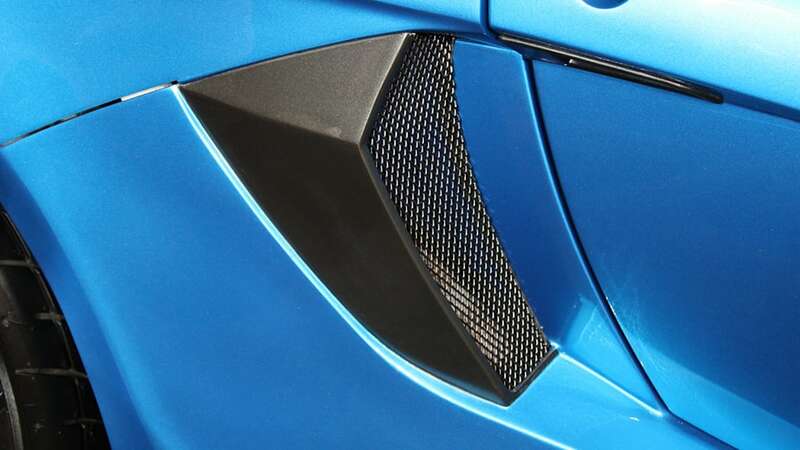 The one-piece front panel features a sharply contoured bonnet and angular front fenders with imposing air-intakes to emphasise the car‟s power and prowess. The compact rear light cluster is reminiscent of high-performance American sports cars of the past, while the integrated side cooling ducts enhance the car‟s distinctive profile. To accentuate the SP:01‟s pure electric credentials, a transparent inspection window displays the vehicle‟s impressive battery technology. 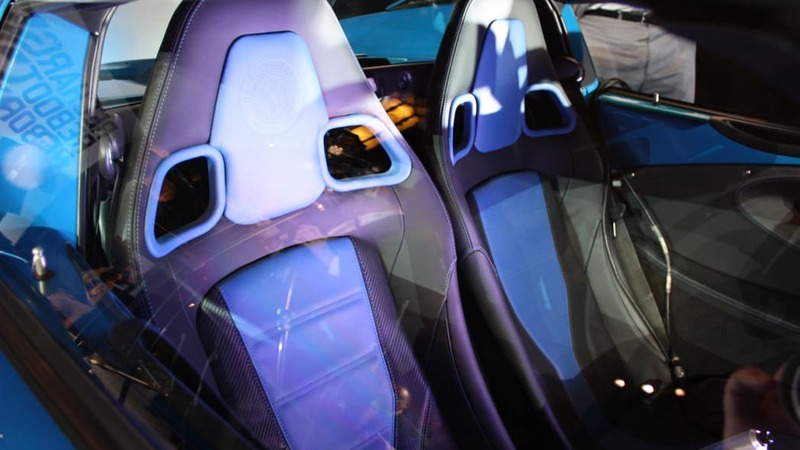 The interior of the vehicle hints at the essence of the Detroit Electric brand by combining luxurious refinement with advanced technology – highlighted through the use of carbon- fibre and specially selected leather finishes. The cabin of the SP:01 is packed with innovation, being the first to use smartphone applications to manage the complete in-car infotainment system. Named „SAMI‟ (Smartphone Application Managed Infotainment system), SAMI provides access to a wide range of functions, including music player, satellite navigation, interior lighting adjust and vehicle systems status – such as the level of battery charge, range to recharge and other vehicle telemetry. It can, of course, also be used to make mobile phone calls. 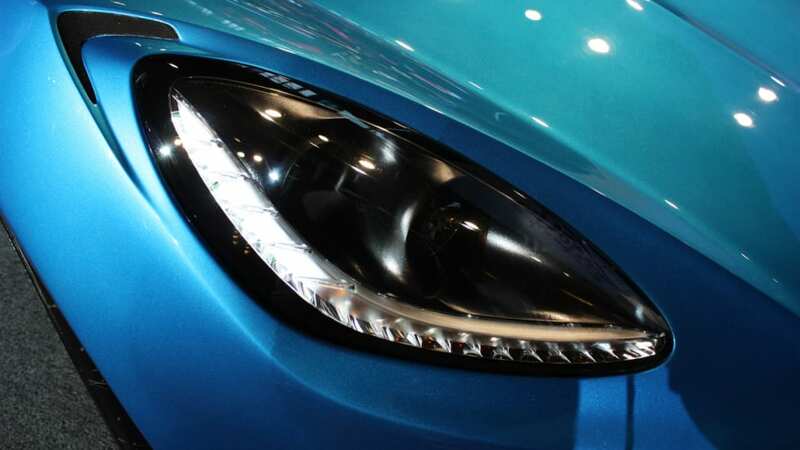 "Our research engineers at Detroit Electric have taken steps to break the mould," adds Mr Lam. "SP:01 is more than just a sports car, it is a mobile energy unit, allowing the user to use its stored battery energy to power not just the car but even an entire home. SP:01 is equipped with bi-directional charge and discharge capability, allowing it to release its stored electrical energy to power a home." The SP:01‟s bi-directional charge and discharge feature is made possible through the patented Detroit Electric home charging and power back-up unit, named „360 Powerback‟. It is a smart home-charging and power back-up unit that enables the SP:01‟s battery to be charged at the rate of 8 kWh (240V@32A). This smart unit can also detect any power failure of the grid and provide the option to the user – via SAMI and the GSM network – to instruct the vehicle to restore power to the home using its stored energy. "360 Powerback is the next level of innovation and shows our determination to provide additional value proposition through our EVs, uniquely elevating us from others in the segment," added Mr Lam. An all-disc braking system, coupled with ABS (anti-lock braking) and ESP (Electronic Stability Control) is fitted as standard, ensuring excellent stopping power. But it is the SP:01‟s Regenerative Braking technology that sets the car apart, underpinning superb stopping performance while ensuring greater energy efficiency. The car‟s energy recovery mechanism uses the motor as a generator, recovering kinetic energy when acceleration is interrupted and using it to recharge the vehicle‟s battery packs, while imitating the retardation characteristics of a gasoline engine. 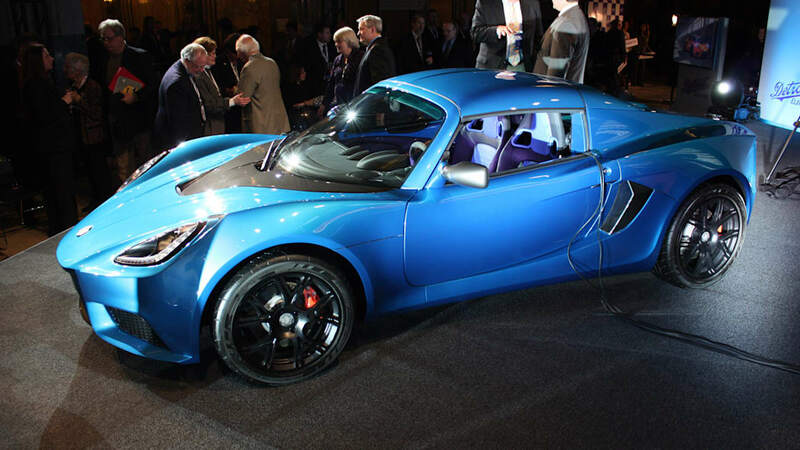 The SP:01 sports car is the first production vehicle to be marketed under the Detroit Electric brand since 1939. 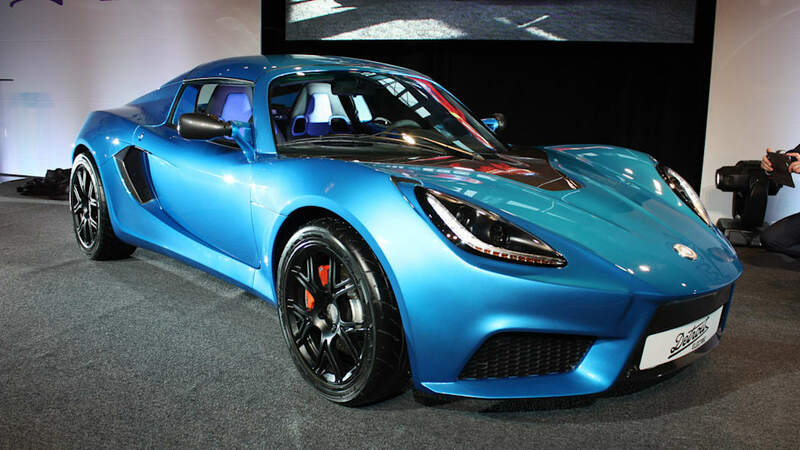 On sale in many of Detroit Electric‟s target markets by end of August, the SP:01 will herald a new family of all-electric production cars, including two other high-performance models that will enter production by the end of 2014.